You’re exhausted after another long, hard week of work. You deserve a break, or at least an entertaining and relaxing night out on the town. The only remedy for the work week blues is good food, good drinks and good entertainment. Lucky for you, Santa Fe, we have it all. 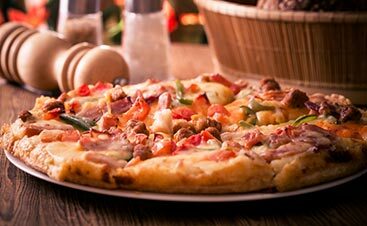 Upper Crust Pizza is consistently voted one of the best restaurants in Santa Fe. We’re a Top Rated Local® family restaurant, and we have the delicious pizza to prove why. But, did you also know we have an exceptional happy hour? That’s right. Happy Hour at Upper Crust Pizza. Top-notch food and drink specials. Because you deserve it. 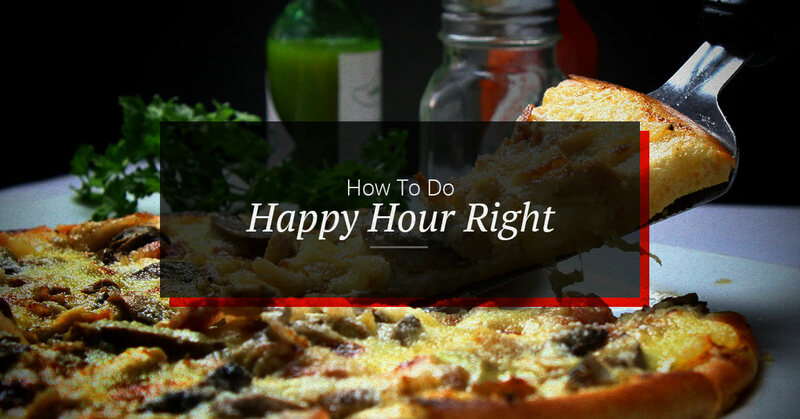 Here are some tips for doing Happy Hour the right way. And remember, come into our Santa Fe or El Dorado restaurants today for the best Happy Hour specials and grab a slice of relaxation! Especially in the summer, Happy Hour is meant to be enjoyed outdoors in the great Santa Fe, New Mexico weather. At our Downtown Santa Fe location, which was established in 1979, you can enjoy Happy Hour specials from 3-6 p.m. on our beautiful outdoor patio with views of the oldest house and church in Santa Fe. How many downtown restaurants with a patio can say that? That’s Happy Hour done right. Our Happy Hour offerings give you plenty of time to come in and enjoy a delicious Grecian Gourmet specialty pizza, or a generous and tasty stromboli calzone! While you’re here, you might as well take advantage of some discount drinks. We offer a great selection of premium draft beers, microbrews, imports and domestic beers, as well as a wide variety of local, domestic and imported wines. Grab a glass or grab a whole bottle. Heck, you deserve it. Just make sure you grab a designated driver, too! If you’re looking for an even bigger selection of beer and wine, stop by our El Dorado location. There, our Happy Hour specials also run from 3 to 6 p.m., and you can choose from six microbrews and 10 different wines. Talk about a great selection! If you’re looking to snack a little while you’re enjoying the happiest hour you can imagine, we have you covered too. Whether you want to munch on some garlic bread or indulge your sweet tooth with a slice of strawberry and turtle cheesecake, there will be no judgements here. It’s Happy Hour, after all! If you’re looking for something heartier, try one of our exceptional calzones to pair with a glass of your favorite local wine. 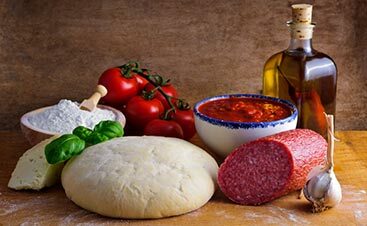 Try the Italian calzone, with fresh dough wrapped around Canadian bacon, our delicious green chile, fresh tomato, onion and a blend of cheeses. Or if you feel like a sandwich, pick up a cold-cut Italian sandwich or a piping hot and tasty meatball with parmesan and provolone cheeses. Yum! 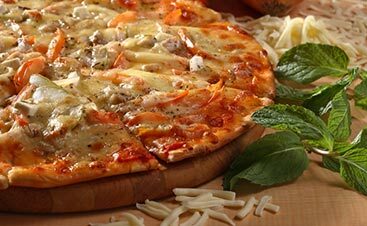 Of course, our pizza offerings are also readily available all afternoon and evening, with our highly-recommended original crust, extraordinary and unique whole wheat crust, or even outstanding gluten-free crust options all at your disposal. The bottom line is, our Happy Hour in Santa Fe or El Dorado is all about you. Come on in and enjoy yourself!